Visit us at the Musik Produktiv Messe 2018. 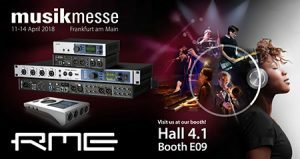 The Musik Produktiv Messe takes place from 09-11 November 2018. Visit us at the SUPERBOOTH18 in Berlin. 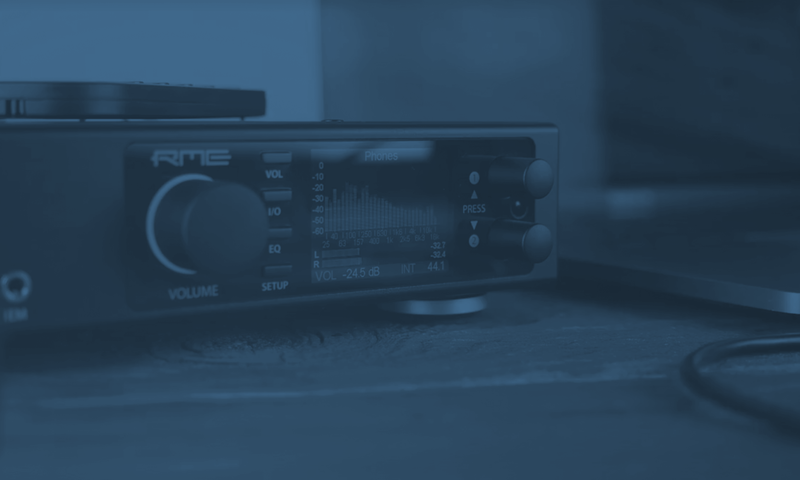 We’ll show exiting ways how ‘Analog meets Digital’ and the latest RME products. The Superbooth18 takes place from 03-05 May 2018. Visit us at the AUDIOVISTA in cooperation with Hoerzone. The brand new RME ADI-2 DAC will be presented. The AUDIOVISTA takes place on Feb. 24th from 10AM to 5PM.